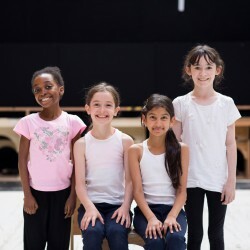 We are delighted to announce our two new Matildas Sara Sheen and Abbie Vena who will join Zaris-Angel Hator and Clara Read in the title role. Continuing in their current roles are Craige Els as Miss Trunchbull, Michael Begley as Mr Wormwood, Miria Parvin as Miss Honey and Rebecca Thornhill as Mrs Wormwood. The rest of the adult cast is Richard Astbury, Oliver Brooks, Collette Coleman, Maria Graciano, Elliot Harper, Daniel Hope, Daniel Ioannou, Kate Kenrick, Katie Lee, Fergal McGoff, Tom Muggeridge, Matthew Rowland, Matthew Serafini, Biancha Szynal, Laura Tyrer and Sharlene Whyte. The new young performers, who in three teams will play the roles of Bruce, Lavender, Amanda and the rest of the Crunchem Hall pupils are Nicholas Antoniou-Tibbitts, Molly Beech, Hannah Bouhamdi, Max Brophy, Olivia Calladine-Smith, Elena Cervesi, Lydia Coghlan, Anya Evans, Miles Harcombe, Michael Hawkins, Sam Jennings, Harrison Langham, Ben Lewis, Craig Noakes, Tia Palamathanan, Owen Pennington, Charlotte Ross-Gower, Alexander Stuckey, Felix Warren and Scarlett Wennink. Current child cast members Oliver Llewelyn-Williams, Maxim Samartsev, Ynez Williams, Maisy-May Woods-Smeeth and Dora Yolland will continue in their current roles. This year, Matilda the Musical celebrates 5 years in the West End and is now booking to October 2017.